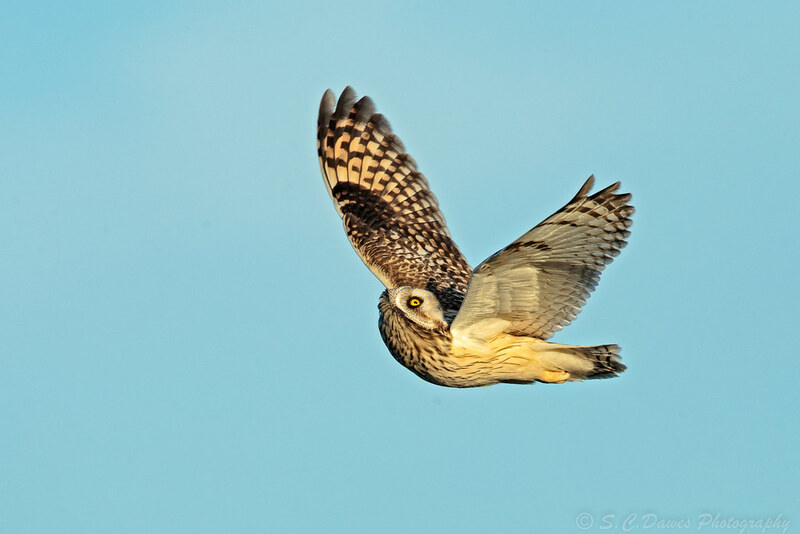 Short Eared Owl - is that a bird or a plane ? Thread: Short Eared Owl - is that a bird or a plane ? Caught this one flying at full speed whilst having its head turned upwards to the sky keeping an eye on a Kestrel which was overhead. Re: Short Eared Owl - is that a bird or a plane ? looks like it is doing backstroke!! nice image,very different to the usual.but nice to see. Unusual pose but nicely captured.